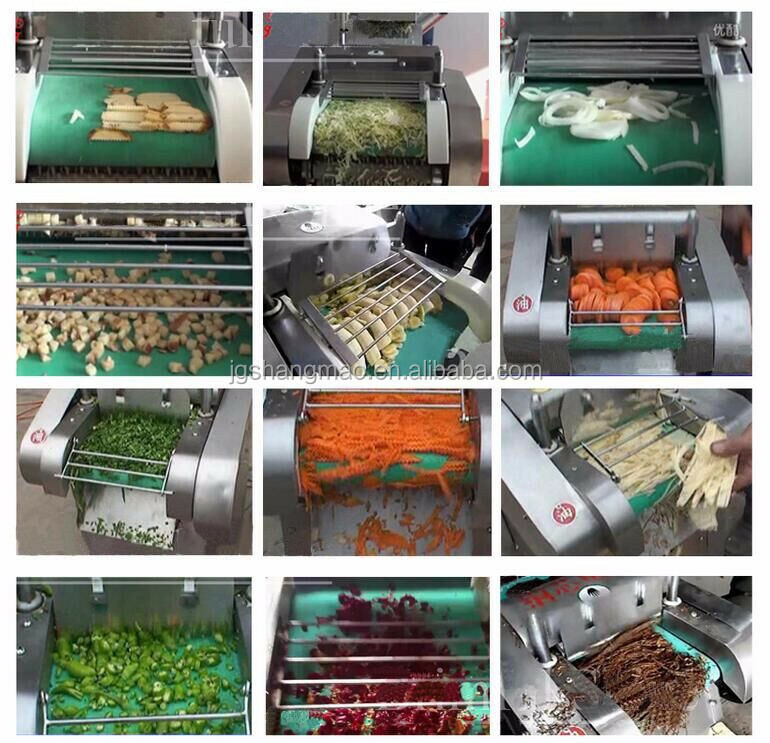 Buy China Industrial Potato Carrot Onion Slicing Cutting Machine - Jinan Joysun Machinery Co., Ltd. 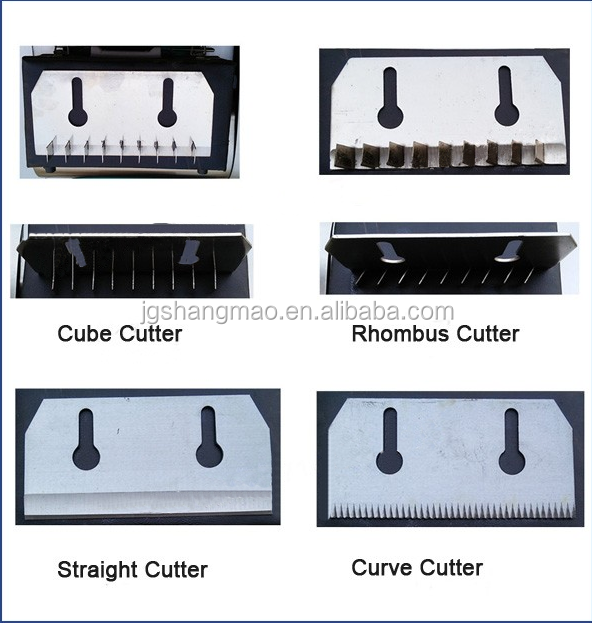 The vegetable cutting machine adopts centrifugal slice mechanism for potato hard to slice, slice thickness can be adjusted freely in a certain range, vertical knife part can be soft leafy vegetables and cut into different specifications of the block, and the diamond, curve and so on various shapes.For vertical knife to simulate the manual cutting principle, so the processing surface level off is smooth, forming rules, cut vegetables organization intact, keep fresh. The vegetable cutting machine is used to cut the leaf vegetables, such as celery, Chinese cabbage, cabbage, spinach, onion etc strips sliced, segment, filiform, suitable for food processing industry with automated production lines. 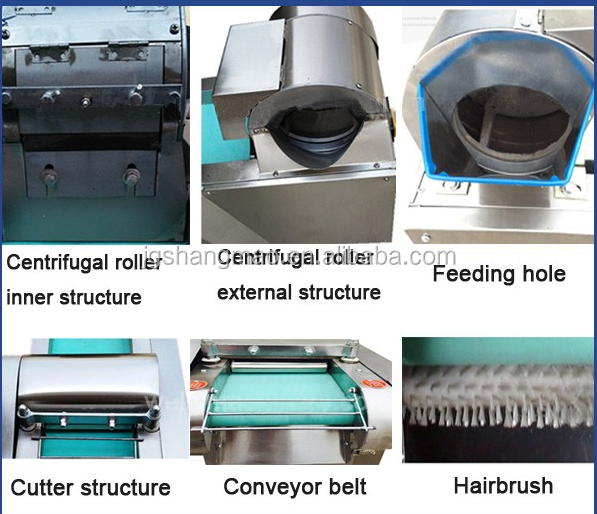 1.The vegetable cutting machine is widely applicable with a variety of root stems leafy vegetables and seaweed soy cut processing can be processed on-chip block small diamond-shaped curve of a variety of shapes. 3. Machine also can cut okra, banana, ect,. 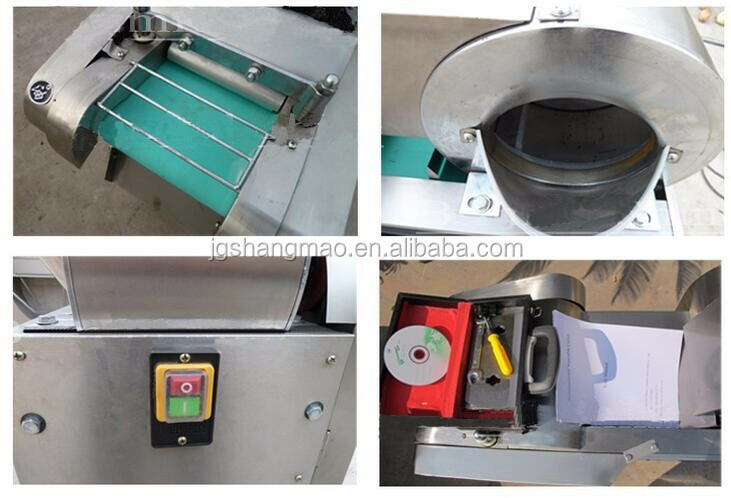 2.Professional and patiently introduction, details pictures and working video to show machine . 2. 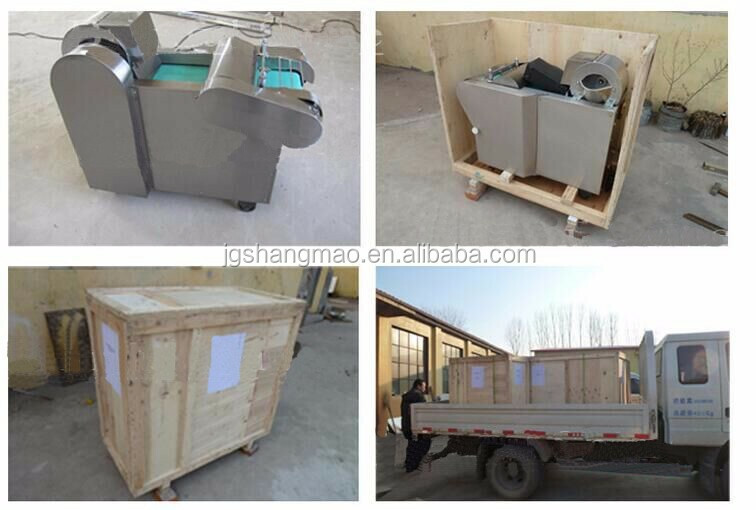 Send the machine picture which you order ,then packing it with standard export wooden box after you confirm the machine is ok.
3.Delivery: If ship by sea , after delivery to seaport .Will tell you the shipping time and arrival time .Finally ,send all original documents to you by Express For Free. 2.24 hours online to solve any problem. Supply you English manual book and technical support ,maintain and install video to help you solve problem ,or dispatch worker to your factory.